The Rogers City Theater was constructed in 1937 as a classic, single screen small town movie palace in the Art Deco style. After a fire in 1947, the theater was re-built and expanded to a seating capacity of 600. Serving as a downtown landmark for decades, the theater was purchased in 2003 by Karl W. Heidemann. The new owner removed some seating to add a stage, theatrical lighting and utility improvements. In 2004, live productions began alternating with first run movies, in a revitalized auditorium. In the summer of 2009, exterior restoration brought back the orange and black tile work of the original facade. In 2013, the film distributors announced they would no longer support traditional 35mm film projectors. With the support of members of the community, Heidemann launched a Kickstarter campaign to "go digital or go dark!" The campaign raised $116,945, allowing not only the purchase of new a new digital projector and sound system (with the ability to show movies in 3D), but also new comfortable seats in the center section of the auditorium. The Kickstarter backers are listed here. In 2016, Heidemann donated the theater to the local district library to ensure it would continue to serve the community after his retirement. 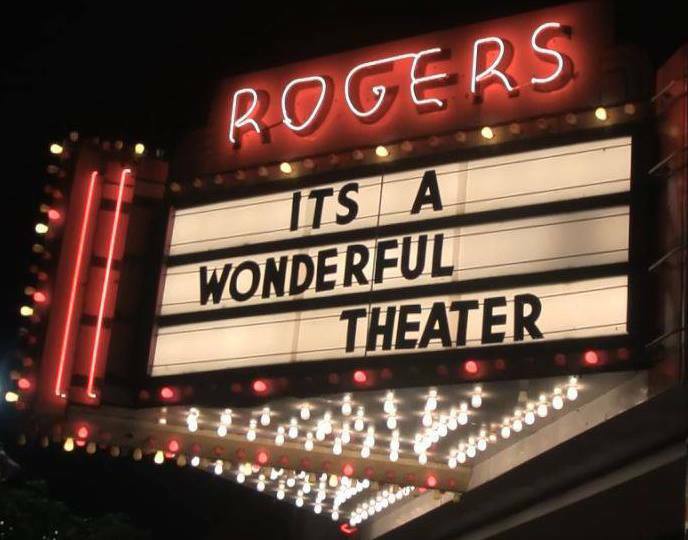 Now, owned and operated by Presque Isle District Library, the Rogers City Theater provides a home for new and classic films, live theatre, concerts, presentations, political forums, stand-up comedy, and more. For information about Rogers City Community Theatre, please see rcctheatre.org.